James Sears, editor of Your Ward News. Photo courtesy of YouTube. Anti-Semitic, racist, homophobic, sexist: these are just a few of the ways a formal complaint filed against the Canada Post and the Canadian government describes Your Ward News. Ottawa human rights lawyer Richard Warman lodged the complaint Friday, with claims that the controversial community tabloid violates several articles in the Canadian Human Rights Act. Warman says that, despite bringing Your Ward News to the attention of Canada Post and the minister responsible for the postal service, delivery of the paper has continued. 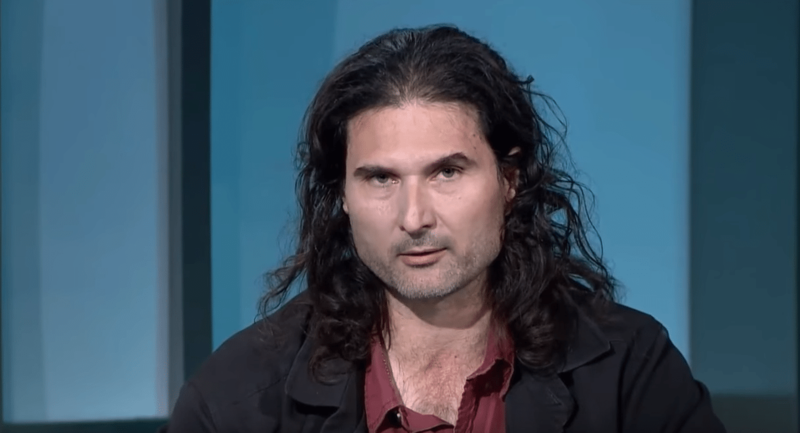 “Canada Post and the Government of Canada are regularly and knowingly exposing Canada Post workers to misogynist, racist, anti-Jewish, anti-Muslim, and homophobic hate propaganda in the workplace,” he writes in the complaint. An anti-racist coalition led by 11 members—including Toronto LGBTQ leader Jaime Watt and Judy Csillag of the Canadian Race Relations Foundation—is also supporting Warman’s complaint. The group has been lobbying Canada Post to no avail, and the human rights complaint is the latest in an ongoing effort to shut down the publication. In March 2015, some postal workers objected to delivering the paper due to its content. But Canada Post insisted that its employees had a duty to deliver the tabloid. In a statement at the time, the Crown agency wrote, “We do not have the right to refuse a mail item because we or our employees object to its content.” Liberal Ontario MPP Arthur Potts (Beaches—East York) also lodged a formal complaint later that month with Canada Post CEO Deepak Chopra and Conservative MP Lisa Raitt, who was then the minister overseeing Canada Post. The paper’s then-editor-in-chief declared the objections to be part of an NDP plot. According to the coalition, Your Ward News reaches about 80,000 households in Toronto’s east end (though the paper claims it is delivered to 300,000 homes and reaches more than one million people). It is edited by James Sears, a disgraced doctor who has long expressed sexist and homophobic sentiments on social media. Sears ran for City Council in 2014 and launched an anti-Marxist federal party inspired by Hitler last year. Correction, 1:40 p.m.: This article originally misstated the name of MPP Arthur Potts. We regret the error.